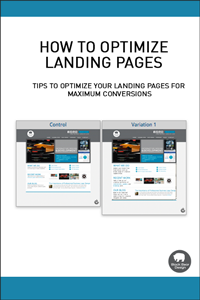 A landing page is a Web page designed as a form that your customers and prospects complete online. Providing you with critical top of the funnel information, it’s one of the first steps in your lead generation, nurturing, and management efforts. Simply enter your information in the form to the right and we will send the free ebook over to your email immediately.